From the 20th to the 29th of September I’ll be attending to LUSTR in Prague (Czech Republic). Give a talk about my work, and the lessons I’ve learned since I started. Give a master class titled Build your illustration career. Have an exhibition featuring my favorite illustrations and animations I did in the past years. LUSTR is a seven day celebration of illustration, a festival packed with workshops, lectures, discussions and exhibitions of works by professionals and enthusiasts. It includes presentations by Czech artists as well as international names like Magoz from Spain, who has worked for the New York Times and the Wall Street Journal among others, Jonathan Vermesch from France, or Slovak illustrator Martina Pauková. More than 40 authors come meet the public face to face, and, most importantly, lead a dialogue whose absence was the main impulse for our endeavour. LUSTR is a platform for sharing experiences from the world of illustration. 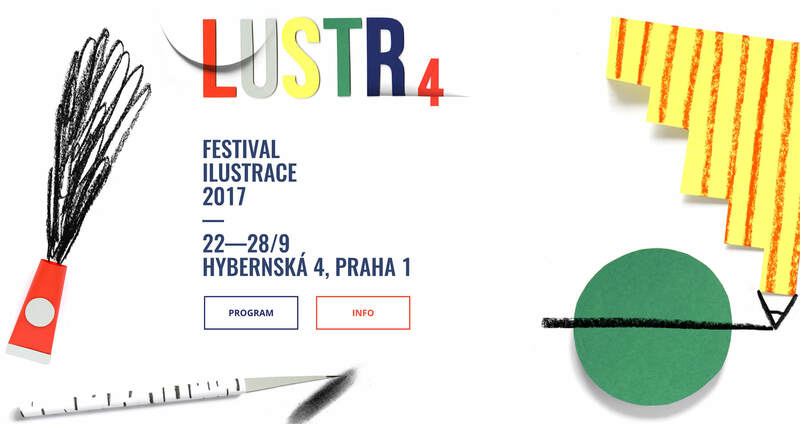 LUSTR is organized by Czech illustrators in association with Page Five. Amazing! I’ll try to make it. I would love to assist to your talk and class but it won’t be possible. Will you be having a live video for any of them? I’m not sure, I will ask the organizers and let you know in case it’s possible. When you say ‘Prague’ you mean somewhere close to Barcelona? :-( Enjoy the festival and take care! I’ll probably be visiting Barcelona at the end of November, let’s see if we can make it this time. And thanks, mate! I’ll share pictures!